There’s symmetry to be found in the tragedy that struck the Cathedral of Notre Dame in the middle of Paris, France. Think of it. The fire broke out during Holy Week, which Christians celebrate Easter, the most joyous holiday on their calendar. Easter symbolizes the emergence from darkness, brought on by the death of Jesus Christ. The holiday celebrates the resurrection of Jesus. Christians sing joyful hymns in church and welcome the rebirth brought on by the spring season. The Cathedral of Notre Dame was damaged heavily by fire. French government officials vow to rebuild the iconic structure. What many of us find fascinating is the survival of the crucifix in the cathedral’s sanctuary. Pictures of it seem to glow amid the rubble left by the blaze. So the rebuilding will commence . . . eventually. French fire investigators need to determine the cause of the fire. What is left of the structure needs to be assessed and it needs to be determined how much of it can be saved. Initial reports indicate the structure is sound enough to withstand reconstruction. How much better can it get than that, albeit given the tragic fire that has scarred this iconic holy building? 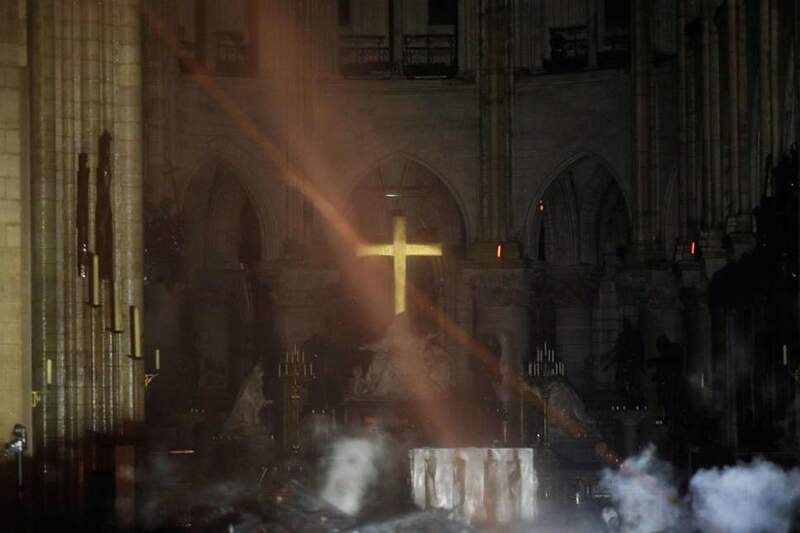 The world will await the resurrection of the heavily damaged Cathedral of Notre Dame. The more I think about it, the symbolism of the church’s pending rebirth juxtaposed with the timing of the event that brought so much misery could hardly be more perfect.